HONOLULU (AP) — An active duty soldier based in Hawaii pledged his allegiance to the Islamic State group, helped purchase a drone for it to use against American forces and said he wanted to use his rifle to “kill a bunch of people,” according to an FBI affidavit. Ikaika Kang, a sergeant first class in the U.S. Army, made an initial appearance Monday in federal court in Honolulu. He was arrested Saturday on terrorism charges. Paul Delacourt, the FBI special agent in charge of the Hawaii bureau, said Kang gave military documents to people he believed would give them to Islamic State, but none of them got to the organization. He told reporters the FBI believes Kang was a lone actor and wasn’t affiliated with anyone who poses a threat. Kang’s court-appointed defense attorney, Birney Bervar, said it appears his client may suffer from service-related mental health issues of which the government was aware but neglected to treat. Bervar declined to elaborate. He said Kang was “a decorated veteran of two deployments” to Iraq and Afghanistan. The 26-page affidavit from FBI Special Agent Jimmy Chen details the yearlong investigation into the 34-year-old soldier, who who thought he was dealing with Islamic State agents but were undercover agents or sources instead. Among the charges was that Kang copied military secret documents in 2015 and wanted to provide them to the organization, according to the affidavit. It also Kang says admitted that he voluntarily pledged loyalty to Islamic State leader Abu Bakr al-Baghdadi. The pledge occurred on Saturday at a home in Honolulu, where Kang thought he was meeting an actual member of the organization, the affidavit says. They made combat training videos he believed would be taken back to the Middle East to help prepare the group’s soldiers to fight American forces, according to the affidavit. 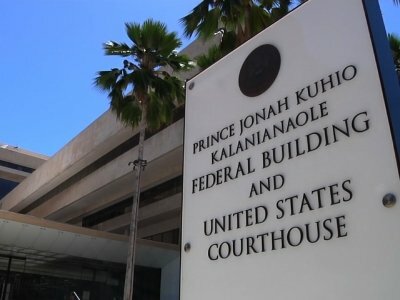 Kang, a trained air traffic controller based at Hawaii’s Wheeler Army Airfield, had his military clearance revoked in 2012 for making pro-Islamic State comments while at work and on-post and threatening to hurt or kill fellow service members. Kang has two firearms registered in his name, an AR-15-style assault rifle and a handgun. After the shooting last summer at a gay nightclub in Orlando, Florida, he told an undercover source that the “shooter did what he had to do and later said that America is the only terrorist organization in the world,” according to the affidavit. He told a confidential informant in March that he was angry at a civilian who had taken away his air traffic controller’s license and that he wanted to torture him, the affidavit said. “Kang said that if he ever saw him again, he would tie him down and pour Drano in his eyes,” the affidavit said. Kang enlisted in the Army in December 2001, just months after the Sept. 11 attacks. He served in Iraq from March 2010 to February 2011 and Afghanistan from July 2013 to April 2014. Kang was assigned to the headquarters of the 25th Combat Aviation Brigade. At Kang’s home, there was red “evidence” tape on his door and on his water heater storage door. “He gave me no trouble,” she said. He has one roommate and purchased the unit less than a year ago. Kulana Knolls is popular with soldiers because it is near Schofield.